a piece in two parts. The first is a mirrored lightbulb that at eye level at the entrance to the exhibition. 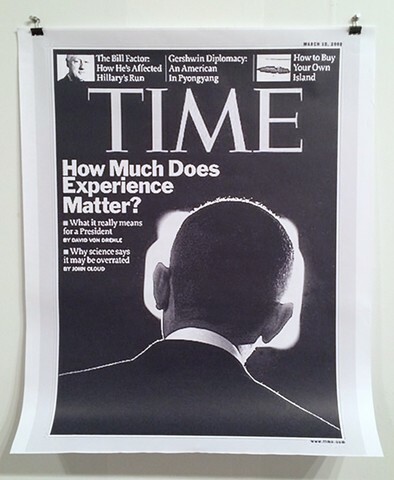 The second is this copy of a Time Magazine cover. Both pieces are titled "Eclipse".